The Few, the Brave, the…um…Old? Time for a brief detour from political commentary. We finally got the picture from last month’s softball world series tournament in Arizona. 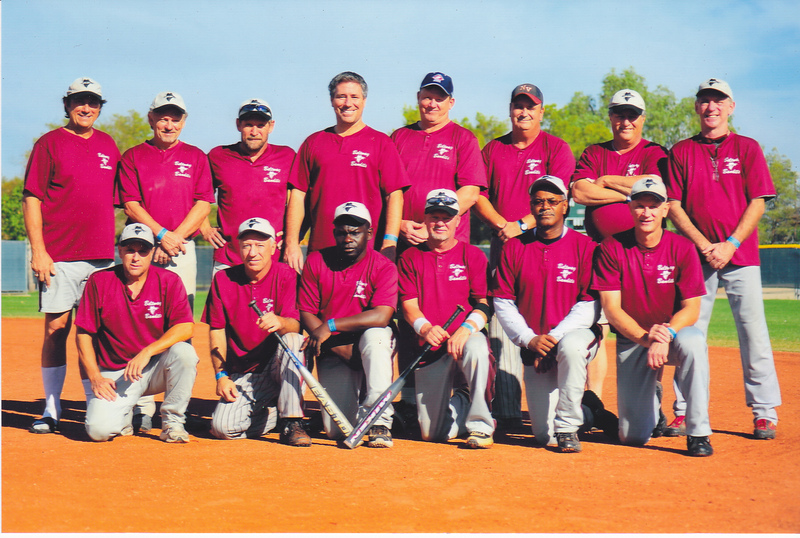 These amazing specimens of manhood are the “Beltway Bandits,” our over-50 team. As noted in an earlier post, we made it to the final day but didn’t come back with a first-place trophy. Dan Mitchell’s hair cannot be contained with a hat. on November 18, 2010 at 9:09 am Steve P.
Dan – you must be the only one with hair…..